Salvador Dali’s painting The Persistence of Memory is one of those images that is almost universally recognizable. The bizarre landscape, and especially the melting clocks, are so memorable partly because they represent the impermanence of time and our perception of it. If you’ve ever admired the painting enough to want to live inside of it (or at least pull some of it into the real world), the Melting Watch fulfills that weird desire. 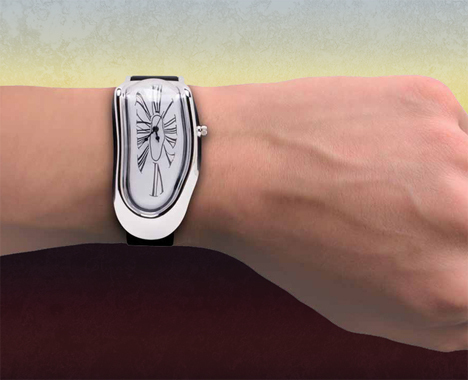 The watch features a face that looks like one of the melting, distorted timepieces from Dali’s painting. 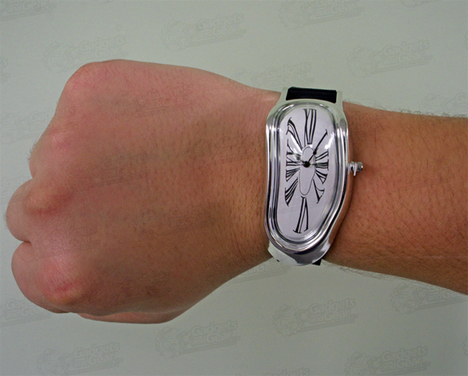 The clocks which Dali used to represent the fluidity of time can actually be used to keep track of real-world time. The face is warped and misshapen, but it keeps accurate time. There are a few layers of weirdness to work through there, but the watch will certainly draw attention, particularly from fellow modern art enthusiasts. 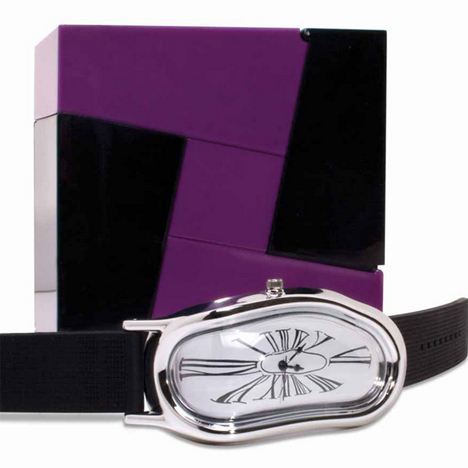 See more in Clocks & Watches or under Gadgets. January, 2014.